The name itself of this sweet is so mouthwatering that there is no way you would be able to resist once you actually hold this sweet in your hand! 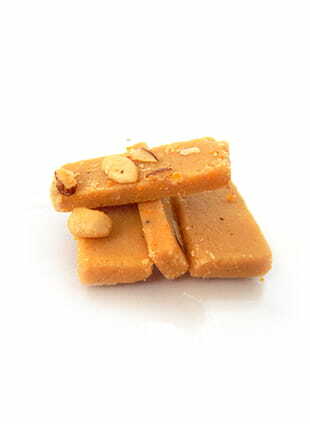 Barfi is very popular in Indian sweets and is loved by almost everyone, young and old alike. Roasted Elaichi Barfi from Ishar Sweets is a special kind of barfi which is made by pure khoya/mawa, nuts and with the excellent fragrance of cardamom. It is very soft in texture engrossed with nuts and roasted cardamom. It can be an excellent sweet as well as dessert and you can gift to your loved ones too. And now you can enjoy sitting at your home as you can buy it online from FoodFeasta.com and satiate to your taste buds.